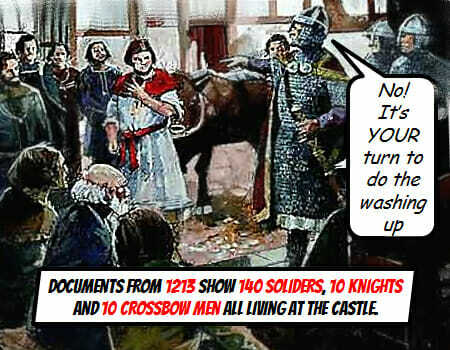 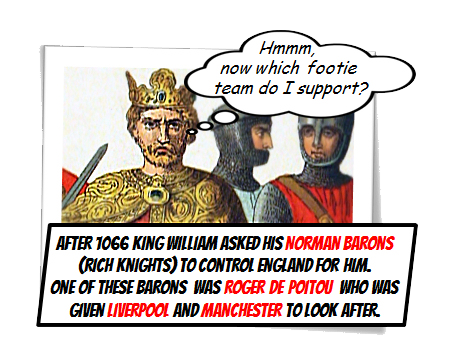 After 1066 King William asks his Norman Barons (rich knights) to control England for him. 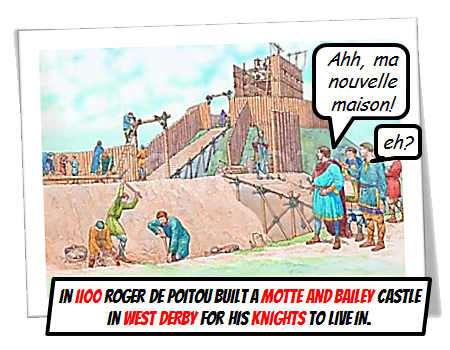 One of these Barons is Roger de Poitou who is given Liverpool and Manchester to look after.In 1100 Roger de Poitou builds a Motte and Bailey Castle in West Derby for his knights to live there. 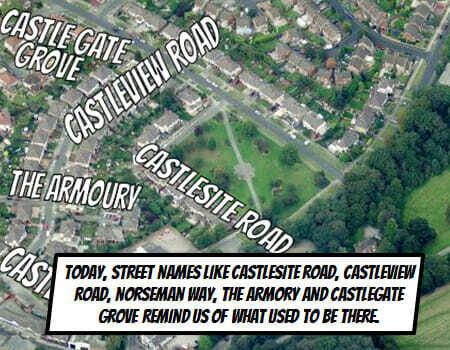 west derby castle is made of two parts. 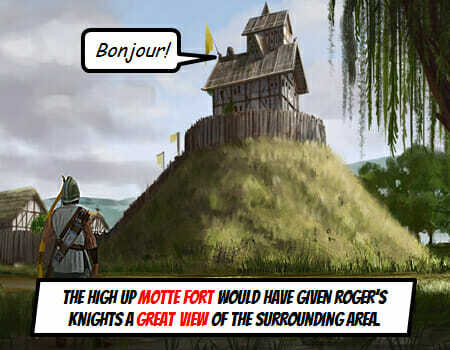 The Motte is a raised hill (earthwork) with a wooden fort at the top.The highup Motte fort would have given Rogers knights a great view of the surrounding area.The ‘Bailey’ is the lower part. 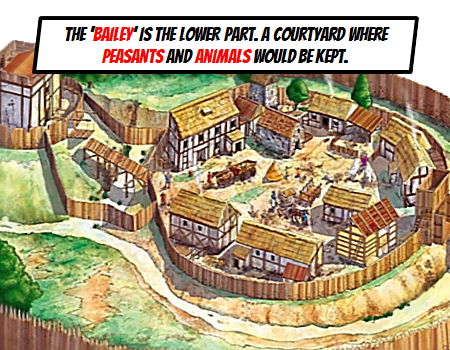 A courtyard where peasants and animals would be kept. 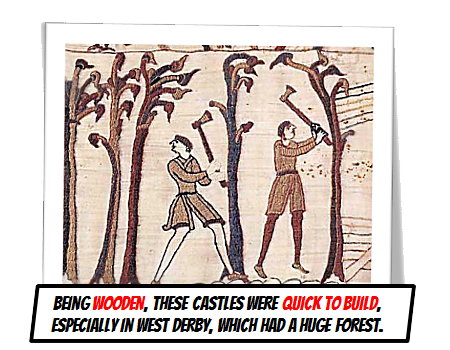 The two parts were then surrounded by a water Moat with a drawbridge connecting them.Being wooden, they were quick to build, especially in West Derby, which had a huge forest.Documents from 1213 show 140 soliders, 10 knights and 10 crossbow men living at the castle. 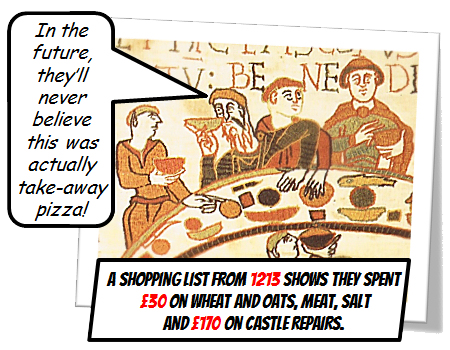 A west derby castle shopping list from 1213 shows they spent £30 on wheat and oats, meat, salt and £170 on castle repairs. 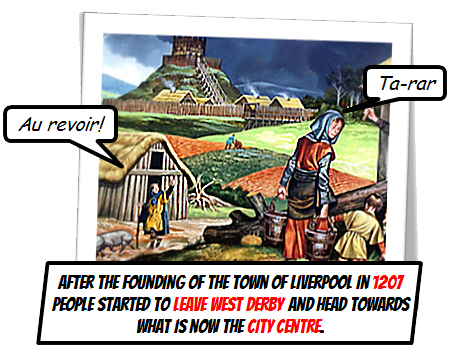 After the founding of the town of Liverpool in 1207 people started to move from West Derby towards what is now the city centre. 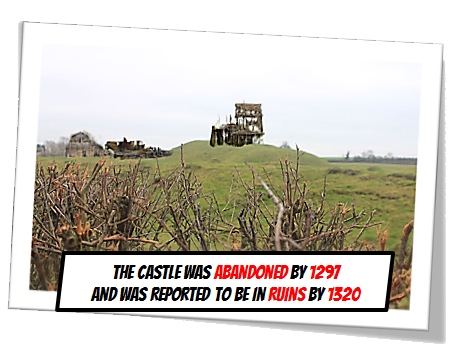 The Castle was abandoned by 1297 and was reported to be in ruins by 1327 The earthwork mound was and the site leveled in 1817.